Former White House chief of staff Rahm Emanuel has been elected mayor Chicago. Mister Emanuel captured over fifty percent of the vote, avoiding a run off election. Unofficial election results have the Chicago Democrat winning, with the Associated Press and Politico projecting him the winner. Mister Emanuel is projected to win the mayorship outright by surpassing the 50-percent threshold needed to avoid an April runoff, defeating a number of candidates including former Sen. Carol Moseley Braun who conceded defeat. “Thank you Chicago! Your hard work & support got us here. Looking forward to working together as your next mayor” – he sent by Twitter. Mister Emanuel’s candidacy and election captured the nation’s attention after he announced his intention to leave his influential position at the White House. Mister Emanuel received support from a number of high-ranking Democrats, including former President Bill Clinton. 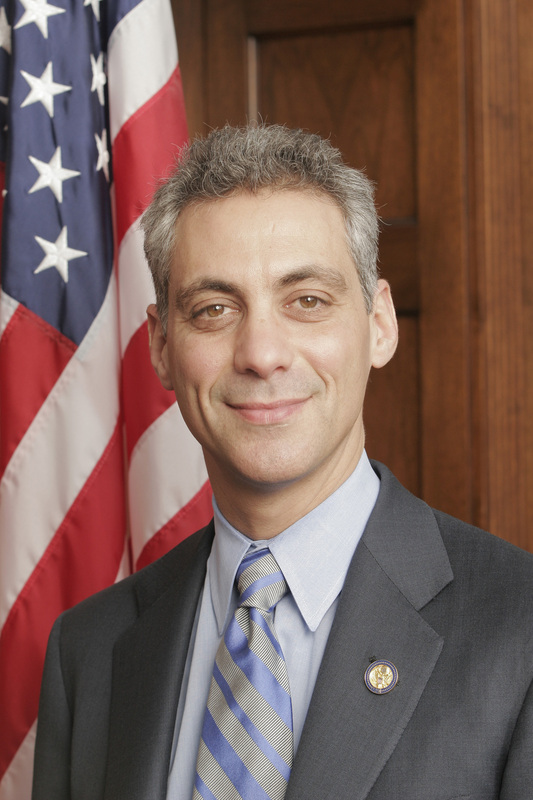 Former White House chief of staff Rahm Emanuel easily won the Chicago mayoral race on Tuesday, beating out his five rivals to clinch the mayorship for the third-largest city in the nation. At press time, 98 percent of the vote had been counted, and the 51-year-old ex-congressman overwhelmed his opponents with 55 percent of the vote, prompting The Associated Press and CNN to call the race in his favor. Emanuel needed 50 percent of the vote to take the election outright and to avoid an April runoff, blowing past that threshold easily. After serving as President Barack Obama’s chief of staff since his inauguration in Jan. 2009, Emanuel left his White House post last October to kick-start his mayoral campaign in his hometown of Chicago. The City Council was sure to see some serious upheaval this election cycle, and the competitiveness of the fights for alderman is showing in tonight’s results – fourteen of the 50 wards appear set to head to runoffs on April 5. There are still around fifty precincts still waiting to report around the city. But races around Chicago are yet to be determined. And many incumbent aldermen will be facing heated competition in those races six weeks from now. Ald. Freddrenna Lyle in the 6th Ward will be facing off with Roderick T. Sawyer, son of former mayor Eugene Sawyer. In the 50th, Bernie Stone, the council’s oldest alderman, won only 37 percent of the vote in his five-person race, and will have to take on feisty challenger Debra L. Silverstein, who came in second with 33 percent. A couple of very crowded races will be significantly narrowed down. The race to replace Helen Shiller in the 46th had eleven candidates on the ballot: James Cappleman and Molly Phelan both won just shy of twenty percent, and will compete for the sixty percent of the vote their nine other candidates split in today’s vote. And in the 24th Ward, incumbent Sharon Denise Dixon and challenger Michael D. Chandler emerged from a field of 18 candidates, the least among whom won only 37 votes. And as mentioned earlier in the night, Che ‘Rhymefest’ Smith is headed for a runoff with incumbent Willie Cochran in the 20th. Rey Colon narrowly avoided a runoff in the 35th Ward, and Ameya Pawar pulled off the upset win in the 47th, beating Tom O’Donnell without requiring a runoff. This entry was posted on Wednesday, February 23rd, 2011 at 6:58 am	and is filed under Politics. You can follow any responses to this entry through the RSS 2.0 feed. Both comments and pings are currently closed.